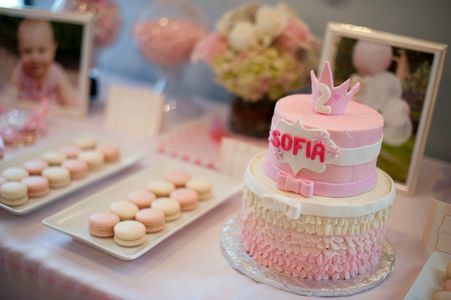 We absolutely loved planning this sweet girl's second birthday party! 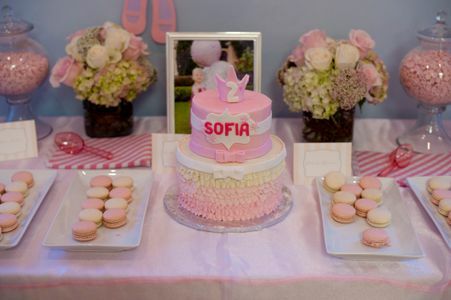 We brought in a ballet instructor to a local studio and the kids had a great time celebrating with Sofia. 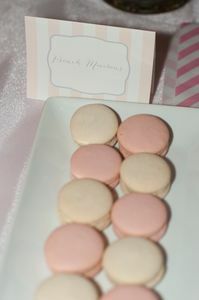 The theme was a ballerina party with french details in the custom food labels and macarons from Bite Macarons. 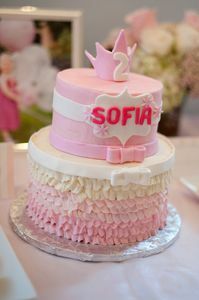 The custom ombre cake was absolutely beautiful and delicious from Krystle at Smitten Sugar. 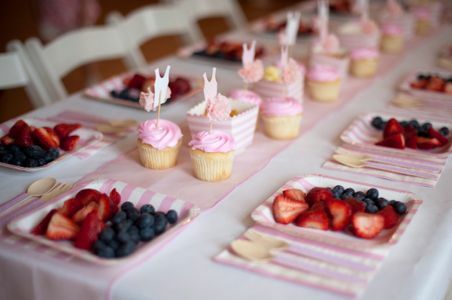 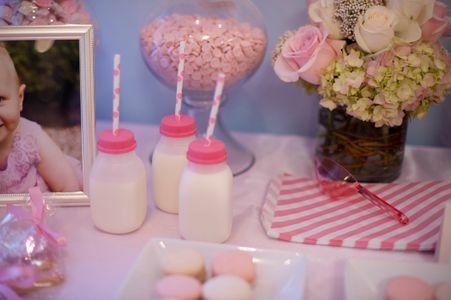 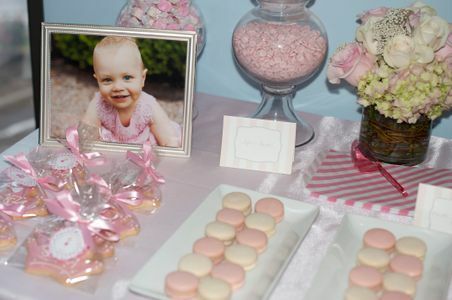 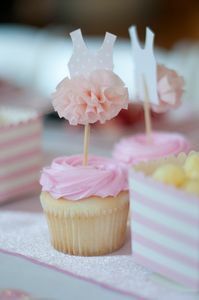 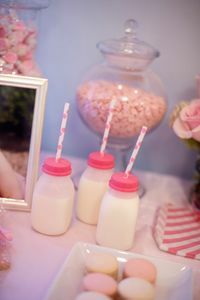 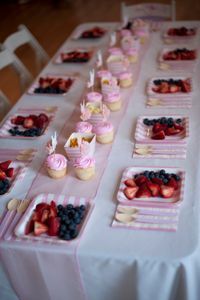 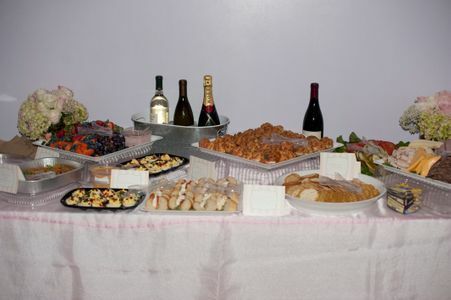 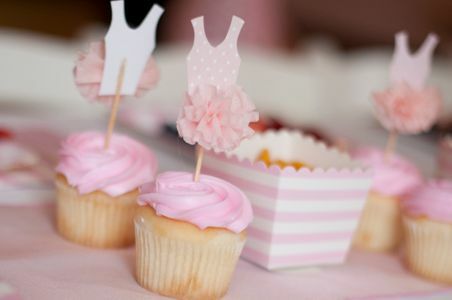 Other adorable details included the adorable milk bottles, the pink and white candy bar and the ballerina cupcakes along the kids' table. 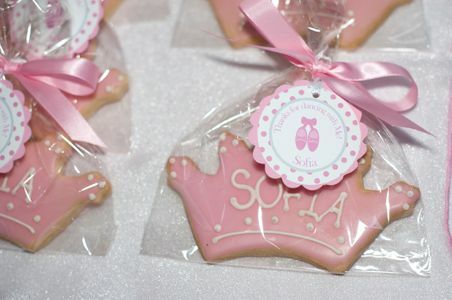 We also had the perfect party favors from Michael's Cookie Jar. 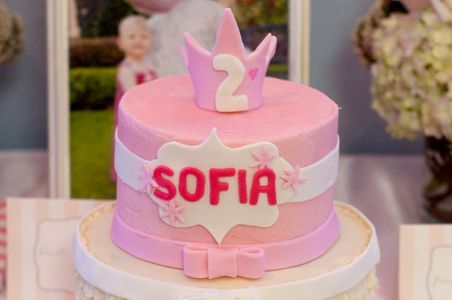 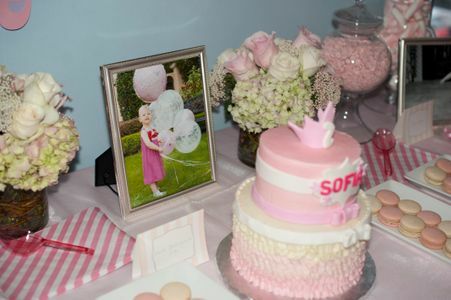 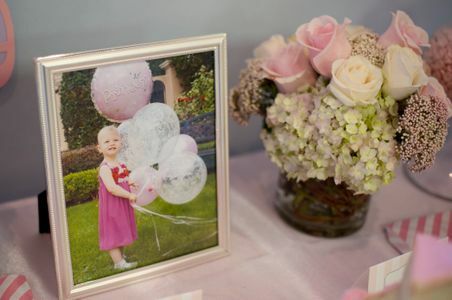 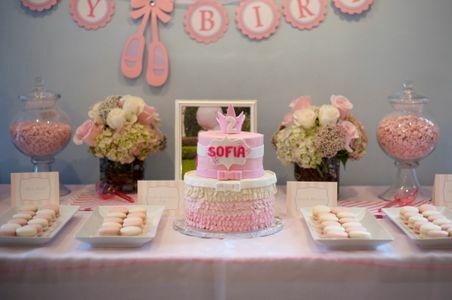 We loved planning this party and were so excited to be a part of Sofia's big birthday!